HIGH and DRY acreage on Still Pond adjoining shopping center and close to a major State Road. 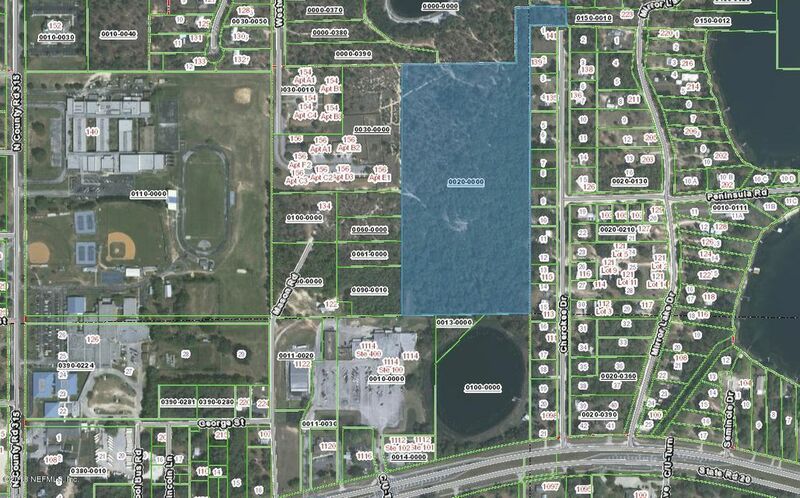 Three total parcels include 22.15 acres, 2 parcels zoned RR, 1 parcel zoned C-2. This home has been on the market since May 22,2018. Courtesy of ST JOHNS REALTY AND MANAGEMENT LLC.